Girls, I want to ask you a question, what are the worst things about a DIY manicure? I am totally sure that you have just answered; chips, peeling and slow drying. We, ladies, put in a lot of our time and effort into painting our nails, and we feel deep disappointment if we find an ugly chip on the next day! It seems that the Seche Vite Top Coat can be the best solution for this unpleasant problem! Million of girls are happy to use the Seche Vite Top Coat and they state that there are no other similar products in the market, that can beat the competition. I have heard a lot about this super dry fast top coat product, but, to tell the truth, I have never used it before. 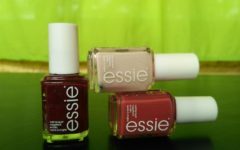 Thus, I decided to buy Seche Vite and find out what makes it is so special. 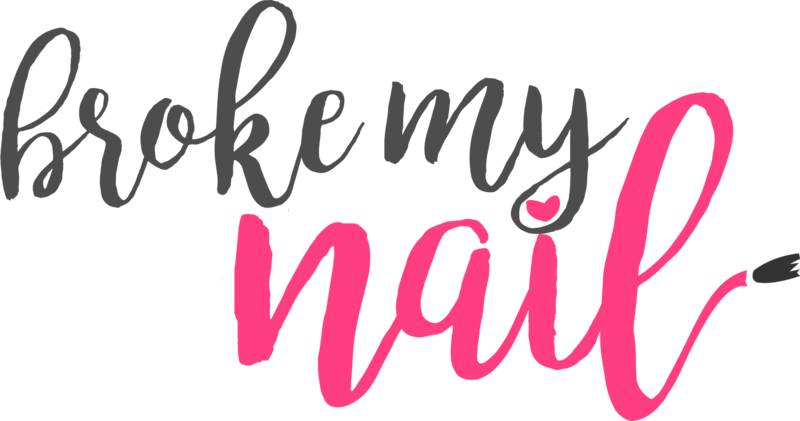 I am a fan of DIY manis, and I have tried dozens of nail products before, so I will be a strict judge doing this Seche Vite review. 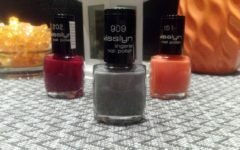 During one month I painted my nails 6 times, and 3 of them I used Seche Vite. Starting from the first try I fell in love with this super liquid and I am going to use it again and again. Seche Vite Top Coat Has a Superpower to Save Your Mani. I’m a very busy person, so I want to finish my manicure as quickly as possible while keeping the quality. It is written on the bottle that Seche Vite is a Fast Dry top coat, so my expectations about the “drying speed” of this product were extremely high. In fact, I wasn’t disappointed with it. The advantage of this nail product is simple: you don’t need to wait until the previous layer will get totally dry. You especially don't need a uv nail lamp. 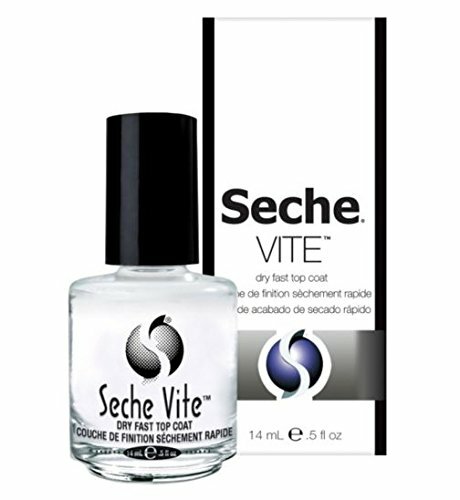 When you cover your nail with Seche Vite it dries together with the nail polish, strengthening it. 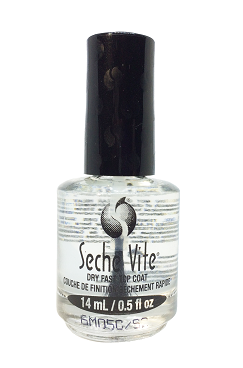 Seche Vite has a unique formula, and because of it, the top coat liquid deeply permeates in all previous layers, combining them into one. As a result, nails are strengthened in very little time. During my experience, I was happy to wear my mani without any chips for 5 days. As for me, it is a great result, because without a good top coat my manicure is “destroyed” in 1 or 2 days. Of course, the period of mani wearing heavily depends on your life style. If you are mom of five, or your job requires to work with your hands all days, probably your nail polish will not “survive” until the end of the week, even with Seche Vite. 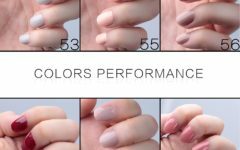 Quality of the manicure is important, but what about its appearance? Seche Vite makes manicures look great because it always gives a glossy shine, which I like so much. My sister though that I visited a very expensive beauty salon. I am totally satisfied with the result, because everyone gave me compliments on my beautiful hands. A 14 mL or 0.5 fl oz is the perfect volume for top coat liquids. Of course it depends on your frequency of the product usage, but as for me, it’s ideal. It is not too small, so I will use it during a few months, while at the same time, it is not too big, so it will not start thickening. It is important, because it is impossible to dilute the Seche Vite Top Coat with ordinary nail polish remover, you need to purchase a specific product - Seche Restore. It'll easily fit on your manicure table. There are so many nail products on the market, which are made in developing countries. Their prices are low, but good quality is like a needle in the haystack So, Seche Vite, which is manufactured in USA in accordance with the high quality standards, promises to be a more reliable product. At least, you can be sure that liquid does not contain any harmful ingredients. We should not forget about our health, trying to keep up with fashion and beauty trends, am I right? If you want to be sure that your manicure will be bright and shiny, and not too yellow, then Seche Vite Top Coat is a perfect choice for you. This dry fast top coat remains stable for long period of time, so your mani will always look “fresh” and just like from a beauty salon. Are you starting to think that Seche Vite is a perfect beauty product? Well, let's look at some things that bothered me. 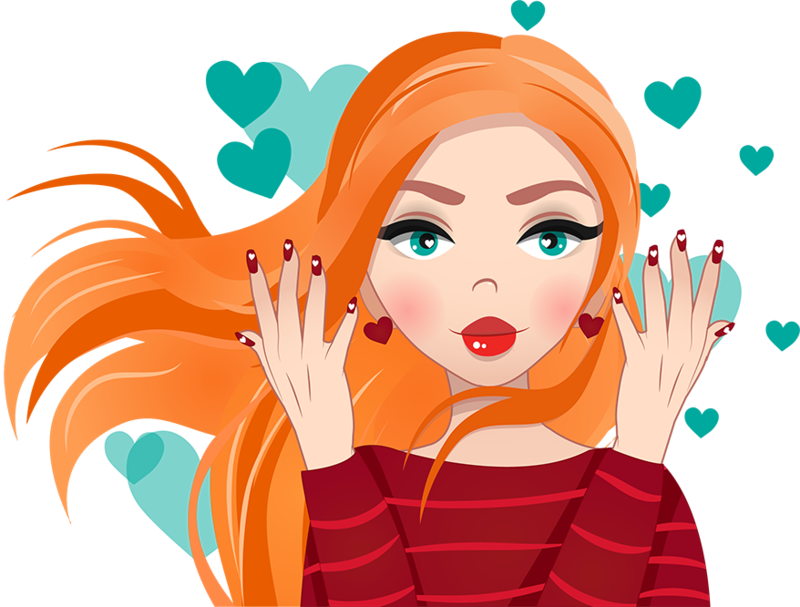 Of course I know that lacquers and other nail products do not smell good, and you always have to ventilate a room, when you paint your nails. But as for me, Seche Vite has a much stronger smell, which I can’t stand. So, it made me leave my house and paint my nails in the backyard. I wonder how I will apply it in the winter. I'll probably go back to using CND from a Shellac Nail Kit. My best friend bought her first Seche Vite Top Coat around a year ago, so I decided to ask her opinion on the product. She shocked me with the fact that her half-empty bottle applies much worse now. My friend show me her DIY mani, which has a really strong streak effect. It doesn't look very neat. I just hope that I will use up my top coat before the streaking effect will appear. So what is my overall impression about the Seche Vite Top Coat? This nail product has a unique formula and it works differently than all other top coats I have used before. Nothing can be perfect, but I really like Seche Vite for its' extremely fast drying time, glossy shine and strength, which it gives my nails. The conclusion is simple, Seche Vite Top Coat is one of the fastest drying products you can find in the market. I can say without any doubts that you must give it a try!